Rapper Lupe Fiasco, real name Wasalu Muhammad Jaco, was kicked off stage by Barack Obama’s security at the StartUp RockOn concert to celebrate the re-election of the president on January 21st at the Hamilton in Washington D.C., after singing a rap which criticised Barack Obama and America’s foreign policy. Wasalu Muhammad Jaco, whose stage name is Lupe Fiasco, rapped, “Limbaugh is a racist, Glenn Beck is a racist. Gaza strip was getting bombed. Obama didn’t say sh*t. That’s why I ain’t vote for him, next one either.” The lyrics came from his 2011 political song, “Words Which I Never Said“. 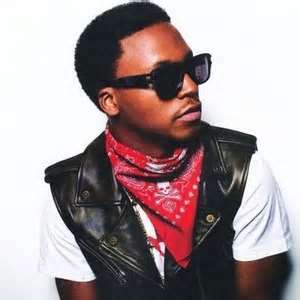 Fiasco is among the minority of black music artists who have dared to speak out against the establishment. Artists like Paris, whose lyrics are inspired by the Black Panther Movement, and was bold enough to say that the 9/11 attacks were an inside job (Read Rapper Soulja Boy shamefully apologises for anti war song), and rappers such as Dead Prez, Kam and Public Enemy. However, the corporate-led music industry will not promote the songs or message of these artists to the young minds of today because their message is one of defiance against injustices and a damaging self image. So it is up to each and every one of us to support these artists and spread their music amongst the people we know and wider circles, whether it is through social media like youtube, twitter, facebook etc., we have a responsibility to the truth. This entry was posted in Entertainment and tagged African-American rap artists are being used by corporate companies to sell harmful products and images to the the black community, Rapper Lupe Fiasco kicked off stage by Barack Obama's security. Bookmark the permalink. Wasalu Muhammad Jaco must be a good guy for speaking out the truth. The music industry is in decline as there are no views it is just commercial garbage run by a pack of horny teenagers on crack singing about love which they don’t even understand never mind being able to spell the word; or them getting high. Gone are the days of Bob Dylan, and Tracey Chapman along with the great Bob Marley. We have become controlled whether by the media; our government; or the music industry. Artists like Muhammad should be encouraged. I will post this article on my face book of which I have over 5000 fan club. By the way editor; the project I have been working on for quite a while now: is finally completed. Hopefully I can get an interview from one of your teams to raise awareness to my latest project? As for your project you can write up an article if you like explaining what the project is about, the aims of the project, and the inspiration behind it and I will publish it on this website.